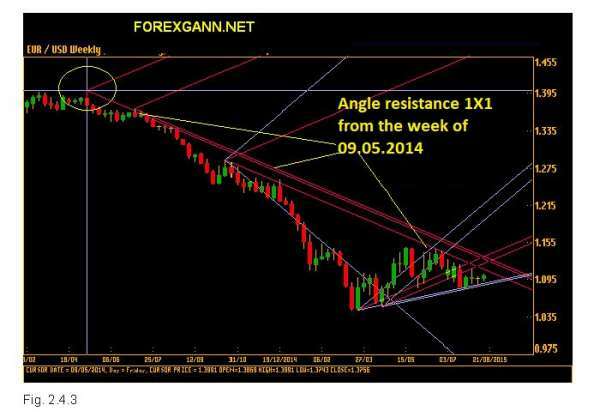 Gann technique supports resistances “Zero” angles. 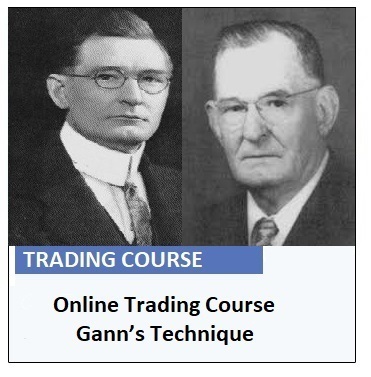 Gann technique supports resistences static and dynamic. With the term Support Static we mean a particular price level, that will offer in the next trends of market weakness an ideal “floor”, on which the title can “rebound”, that is find a strong obstacle in its negative directionality. 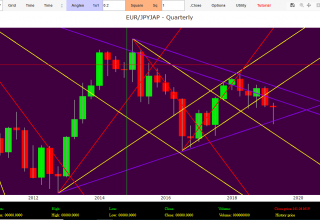 In fact there may be those that Gann called double or triple minimums that will offer many possibilities of speculation, if accompanied by time signals. But what is the original cause of a support? When different Set Up expire in the same time unit, the clash of the psychological mass of investors that will develop in that particular price-time crossover will be much higher than normal and will generate a new market trend. 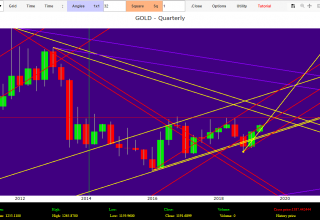 In that moment a force will be generated with a precise directionality that will direct the development of growth or decrease of the price exchanges (market cycle). However this force will enter into “competition” with other lines of force generated by previous Set Ups in the historical series that will have other directionalities. These forces, that for simplicity we represent in lines through geometric functions, will direct present and future price exchanges in the market. 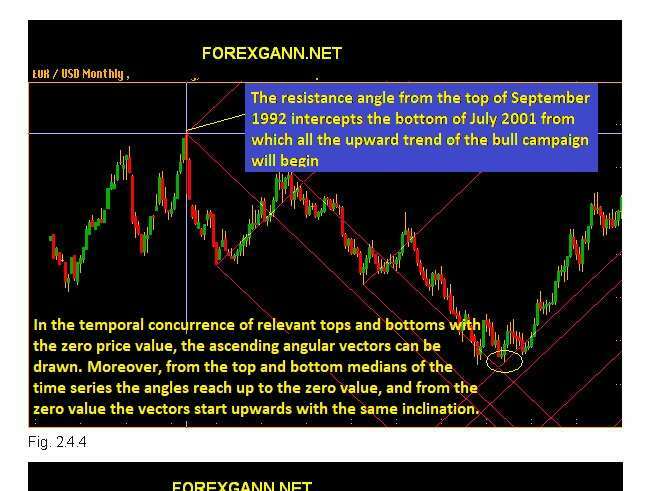 They are divided into angular and static: angular because the directional evolution of the force is dynamic therefore with a price-time function (line or Gann’s corner), static because it represents the static value of the price in time Set Up. 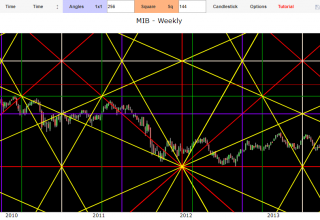 You can read the book ” Geometric Mathematical Mechanics of Financial Markets” to learn how to calculate the Gann’s corners and supports/static resistances. 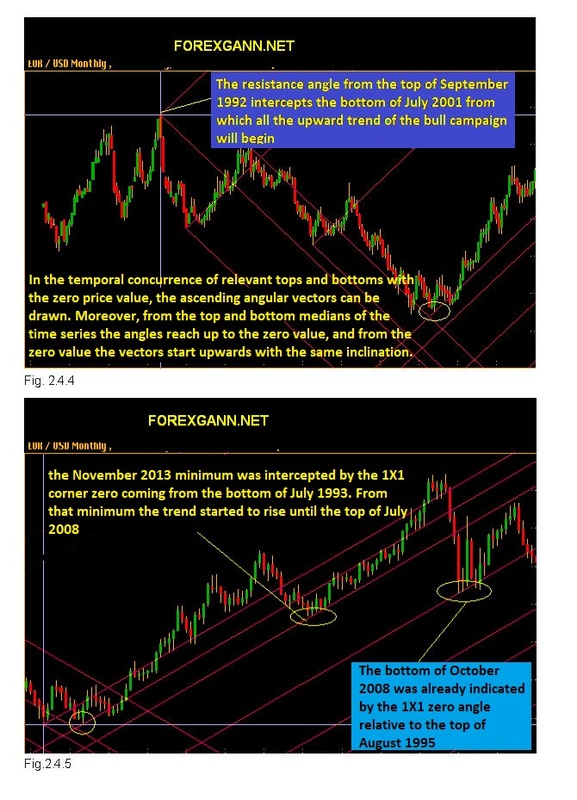 With the term Dynamic Support (Gann’s corner) we mean a trend line originated from an important time Set Up. In this way the static price finds a trigonometric directional development. 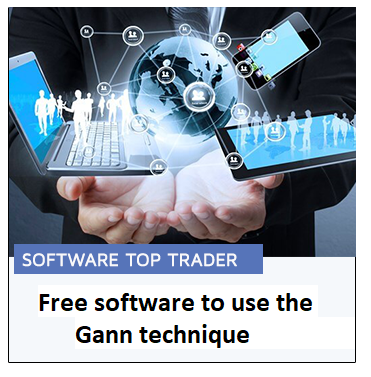 In fact it is not any minimum on a market chart to generate a static support, but only the minimum generated by a powerful Set Up. The same concepts of support always apply for the Resistance, but on the contrary. 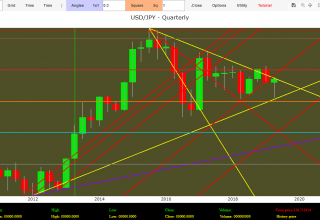 With the term Resistance Static we mean a particular price level that will offer in the next trends of market strength an ideal “wall” on which the title can “rebound”, that is find a strong obstacle in its positive directionality. 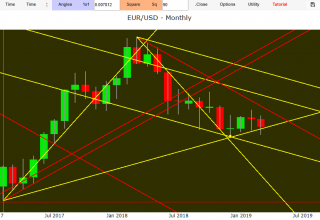 When we associate a support and a dynamic resistance to a trend, we can have an ideal channel in which market directionality will be able to evolve with successive maximums and minimums.